I love your books. I need your books. Teens need your books. And the kinds of teens who most desperately need your books are the kind that don’t have the “luxury” of “concerned parents” deciding what they should and shouldn’t read. 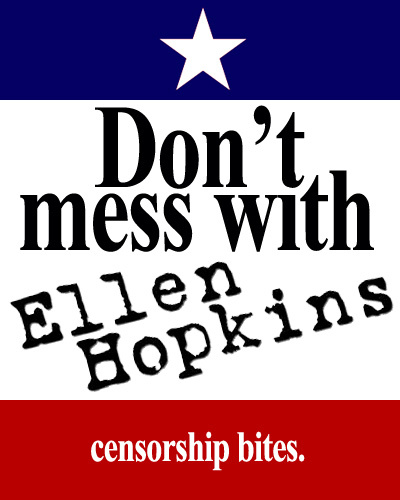 This entry was posted in teens and tagged censorship, Ellen Hopkins by Sarah Ockler. Bookmark the permalink. AHAHAH Oh Sarah, this is the BEST!!!!!!!!! !